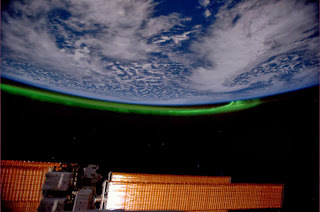 The aurora are caused by energetic particles from the Sun exciting particles in the atmosphere causing them to glow. Discovering the mechanisms behind the different features of the aurora such as flames and filamentation is one of the key features of the ASK project based in Svalbard, Sweden. During times of high solar activity, the aurora are observed at much lower latitudes than normal. 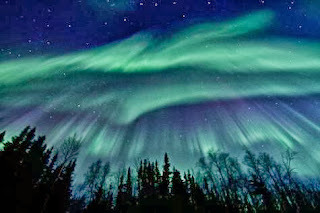 In 1859, the aurora were observed as far south as Cuba and the Caribbean, and magnetometers across the world which had been measuring very minute changes in the Earth’s magnetic field went crazy. Electric currents saturated the telegraph system in North America and Europe making communications across the country very difficult. Richard Carrington was a solar astronomer at the time who had been observing some abnormally large sunspots on the Sun. The day after the aurora were first observed, Carrington saw 2 bright flashes originating from the sunspot group and hours later, another wave of aurora were observed as far south as Panama. Telecommunications in the northern hemisphere became nearly impossible. Scientists today know that the Carrington Event, as it is now known, was in fact the result of two Coronal Mass Ejections (CMEs). The CMEs observed were the second fastest on record. If an event equalling the Carrington Event (1859) occurred today, the results could be catastrophic. In the past we were less dependent on our phones, satellites and electricity so these events were less of a threat. But now power grids have been delocalised and have a much larger area relying on one set of transformers. In March 1989, an event three times less powerful than the Carrington Event occurred over Quebec, Canada which left 6 million people without electricity for 6 hours. 2013 was expected to be a solar maximum, the time when the Sun is the most active. This peak of the solar cycle was expected to coincide with the switching of the Sun’s magnetic poles – a polarity reversal (where the North Pole becomes the South Pole and vice versa). However, the activity recently has been almost zero which indicates a possible “double minimum”. We don’t know why this has occurred (or even if that’s what’s happening), what’s going on inside the Sun or even what causes these magnetic field reversals. When it does happen, the field reversal will cause turbulent waves of current throughout the Solar System which may induce geomagnetic storms in the Earth’s atmosphere. A geomagnetic storm is a disturbance in the Earth’s magnetic field usually as a result of solar activity. Before we can take a step towards predicting these activities, we need to be able to describe the Sun mathematically which is the basis of computational modelling. The Sun is a very complex and very active object so there is a lot of work to do on this front. Concerning space weather, we need to be able to predict the events that will change the Earth’s environment. 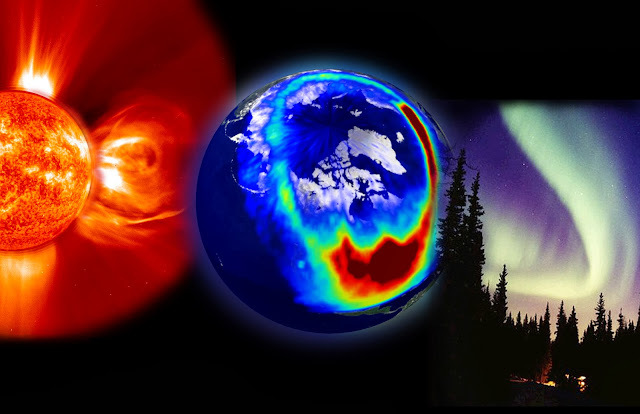 The main solar events that go on to become space weather are Solar Flares and CMEs but alongside these unpredictable expulsions of high velocity particles and radiation, there is the solar wind. The solar wind is a constant stream of charged particles emanating from the Sun. The particles within it vary from 300km/s (or 671,000mph) to 800km/s (or 1,790,000mph). 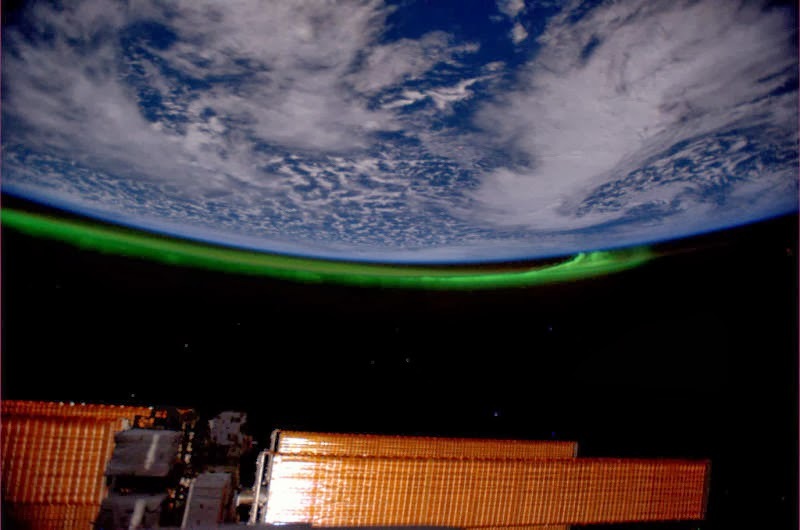 The solar wind is coupled with the Earth’s magnetic field so the variation of particle velocities can induce geomagnetic storms in the Earth’s atmosphere. The solar wind causes the magnetosphere to expand and compress depending on how powerful the wind is at any given time. Basic laws of physics tell us that a changing magnetic field will induce a current. In particular conditions, these currents can be induced in electrical ground systems which can cause them to overload. Within satellites, solar events can induce currents in their sensitive equipment and damage can be more significant due to the impossibility of performing repairs. Solar Flares appear as a sudden brightness on the surface of the Sun which includes a burst of energy across a range of wavelengths (such as gamma rays, X-rays and radio waves). 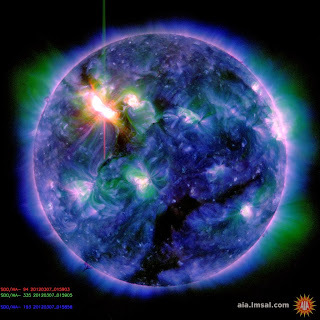 The energy is produced by the reconnection of magnetic field lines on the surface of the Sun which also accelerates particles in the solar atmosphere. The number of solar flares varies on an 11 year cycle as a result of an increase of magnetic energy. What causes this 11 year cycle (or 22 year due to the positive and negative polarities of the flares) is yet to be determined but it is thought to be a result of various parts of the Sun's interior spinning at different rates, which acts like a dynamo and generates the Sun's magnetic field. Further details about this dynamo are still lacking. Sunspot number also varies with the solar cycle, but over the last 30 years, the sunspots and the magnetic fields on the Sun have been getting weaker. Scientists are waiting to find out if the imminent field reversal will shock the system into an active phase and restore the numbers or if this is an ongoing trend that they haven’t quite worked out the source of. 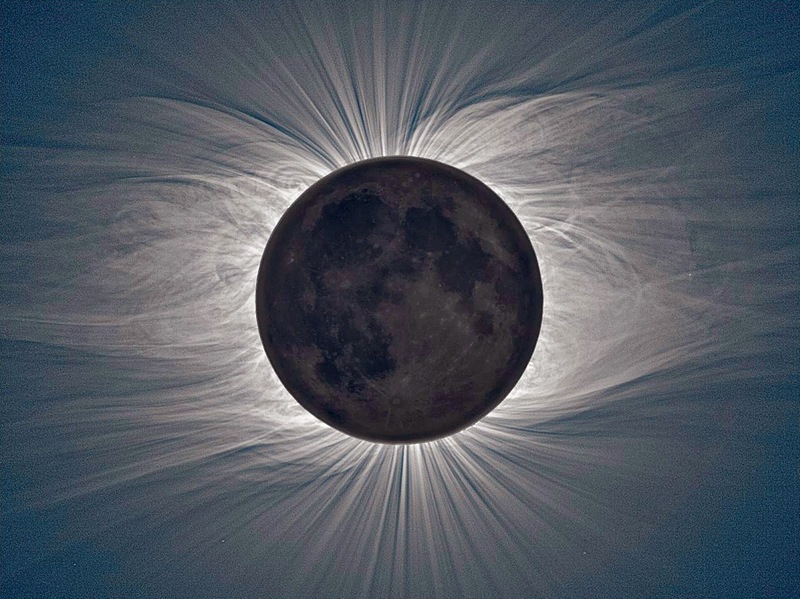 The corona is a sphere of ionised gas (known as ‘plasma’) that extends millions of kilometres out from the Sun and into space. Within the corona, magnetic fields trap charged particles in a magnetic loop which eventually erupts as the magnetic fields re-organise themselves to deal with the excess energy, throwing charged particles out into space. So Coronal Mass Ejections are ejections of matter (mass) from the Sun that originate in the solar corona. CMEs, on average, take 1 to 3 days to reach Earth (whereas the radiation from solar flares travels at the speed of light and only takes 8 minutes) and spread out whereas a solar flare is much more focused.The relationship between CMEs and solar flares is yet to be solved. Sometimes CMEs occur with solar flares and sometimes on their own but even as their own entity, CMEs are still a bit of a mystery. Both CMEs and flares are rooted in magnetic field reconnection. The main difference between a flare and a CME is that while a flare puts all of its energy into radiation and is often followed by high energy particles, a CME puts its energy into propelling ions out into space at a high velocity. The trigger of a CME is also unknown. 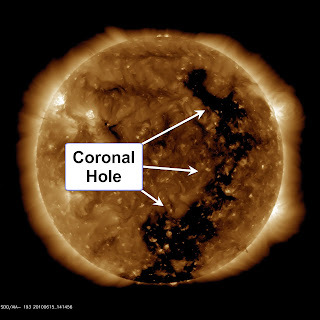 There are 2 ideas currently in contention - A CME is either triggered by a magnetic field line reconnection or it is triggered by a build up of magnetic energy from the solar corona. Less explosive contributors to Space Weather are coronal holes (gaps in the corona that allow solar material to escape into space at high velocities) and solar prominences (large amounts of matter being propelled into space due to matter being trapped between magnetic field lines). Particle radiation is also a big issue for satellites. An ionising particle can cause single events that damage systems both physically and in a way that can change their programming. A bit flip is an example of such an event whereby a particle comes in and flips a 0 to a 1 within a programme. The effect of this can be minimal, where only a system restart is required or the effect could be much more serious. A brief example of the results of a ‘bit flip’ at ground level occurred in Belgium in 2003 where 4,096 extra votes were added to one of the candidates as a cosmic ray affected a single bit in the memory system of the voting machine. Our understanding of the causes of space weather is very general. We have a basic knowledge of the steps between an event on the Sun and the results here on Earth but our knowledge is currently insufficient to predict events effectively enough to really protect ourselves. A large solar event can come with a few days warning so by putting plans in place for how to deal with a possible shutdown of power and resources, the resulting chaos could be massively reduced. The SOHO (Solar and Heliospheric Observatory) spacecraft is currently 1.5 million km away from the Earth and is constantly observing the Sun and sending images and data back to Earth for scientists to analyse and work from. You can see what the Sun looks like today here. Staff writer Cait Percy is one of our Physics editor, and is studying Physics with Space Science at the University of Southampton. This is the final post in our World Space Week series for 2013. We hope you've enjoyed it as much as we have. 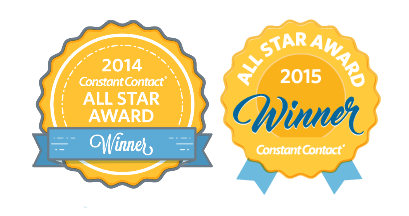 If you'd like to receive notifications of our science articles, please consider signing up to our email list.